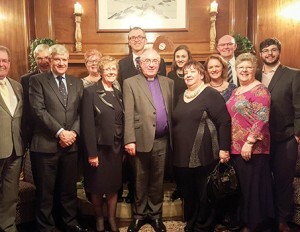 We were delighted that the Moderator of the General Assembly of the Church of Scotland and Mrs Morrison recently hosted a dinner for senior leaders of the BB and GB in Scotland. Representatives from the Kirk’s World Mission and Mission and Discipleship Council also attended. It proved an ideal opportunity to discuss further joint working.